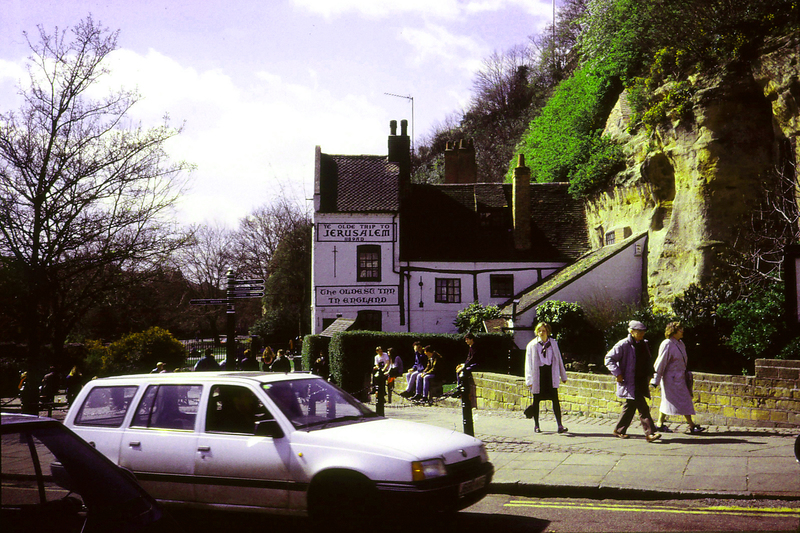 In the city of Nottingham is a pub that claims to be the oldest in all of England. The legend goes that the public house was founded in 1189, the same year Richard the Lionheart became king and left for the Crusades. Supposedly, the king and his men had a blowout party at Ye Olde Trip to Jerusalem the night before they left. I was in Nottingham in 1995 on my study abroad tour. It wasn’t a scheduled trip. My good friends Paula and Suzanne and I went one Saturday when we didn’t have classes. We took the train up and spent the afternoon wandering the city and had lunch at the pub. It was my first introduction to the jacket potato, and it was supremely satisfying. I also remember some guy dressed as a fat friar showing people how to play old pub games. Certainly a place for the tourists, be we really enjoyed ourselves.